A library system that’s truly customizable to fit your every design inspiration, this library system from Orac Decor will surpass all of your expectations. This system is designed to add a refined flair to any bookshelves, built-in shelving, or alcoves and is produced in Orac Decor’s signature steel molds. When buying this library system, you’ll receive the highest quality polyurethane mouldings and Duropolymer archway panels with the best detailing and sculpting. Each piece of the library system comes factory primed and ready for the painting, finishing or glazing that you feel suits the design of the room. This very unique library system from Orac Decor is able to be completely customized to meet the needs of the space. The left and right semi-arches can be cut and joined together, in over five different variations, making the designs that are possible with the library system endless. Orac Decor’s top engineers designed the library system, and all other Orac Decor products, to be installed with common woodworking tools and their exclusive line of adhesives, to make custom installs stress free and cost effective. Adding this library system to any space of your home will add a sense of dramatic elegance and sophistication. As physically and creatively expansive as your imagination desires and your blueprints demand, Orac Decor offers the obvious time and cost saving alternative to manually fabricated, labor intensive wood and plaster decorative arches and trims with its Orac Decor Library System. Designed to readily provide aesthetic refinement to bookcases, shelving, alcoves and other troublesome areas that have been traditionally difficult for architects, interior designers, builders and remodelers to decorate, the Orac Decor Library System can be used in a wide variety of applications. Comprising symmetrical left and right side semi-arches that can be easily cut and joined on site to form full arches, complementary integral trims and corresponding architectural elements can be interchanged and utilized in various combinations as desired within the Orac Decor Library System to create a truly customized installation. Suited for use in virtually any type of commercial and residential construction, renovation or redecoration application, the Orac Decor Library System is produced of high-density polyurethane in exclusive, rigid steel molds that faithfully yield sharply defined details, perfect dimensions, and extremely consistent quality. Light, strong and easy to install using traditional techniques and tools, the Orac Decor Library System is primed and ready for painting, glazing or faux finishing, and will endure years of repeated refinishing when necessary. 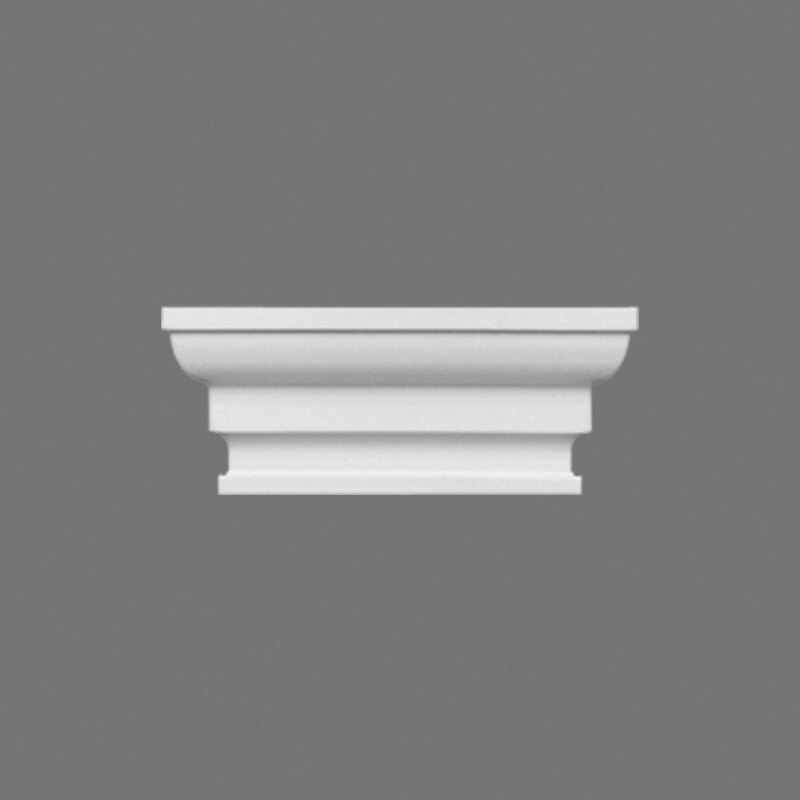 Orac Decor, Duropolymer Pilaster Cap, Primed White. 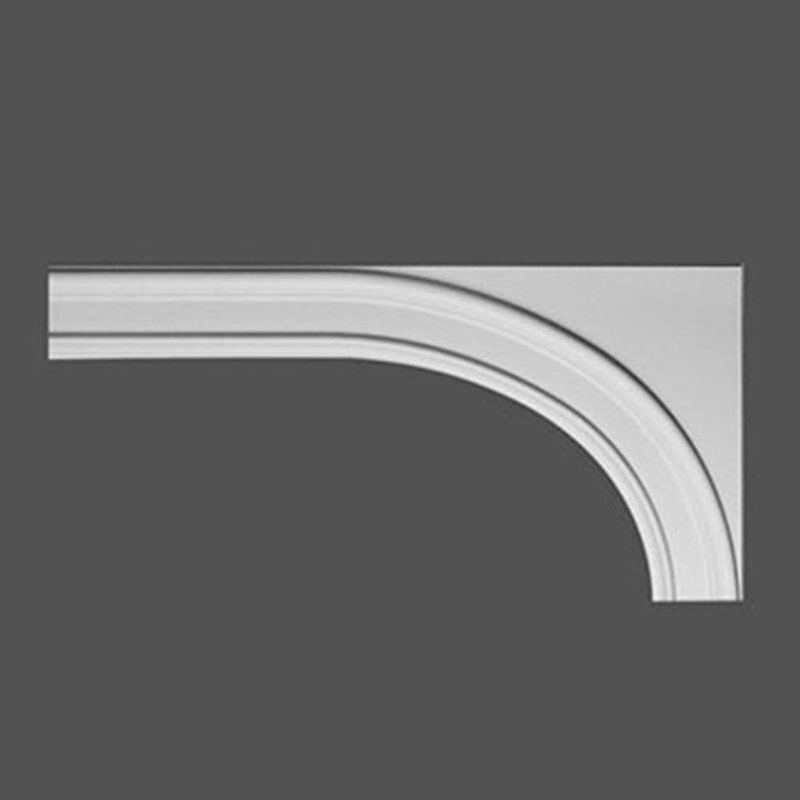 Height: 2", Width: 5"
Orac Decor, Duropolymer Right Arch Panel, Primed White. Height: 12-5/8", Width: 25-1/4"